Rockport Rope Door Mats is dedicated to manufacturing high-quality rope mats. 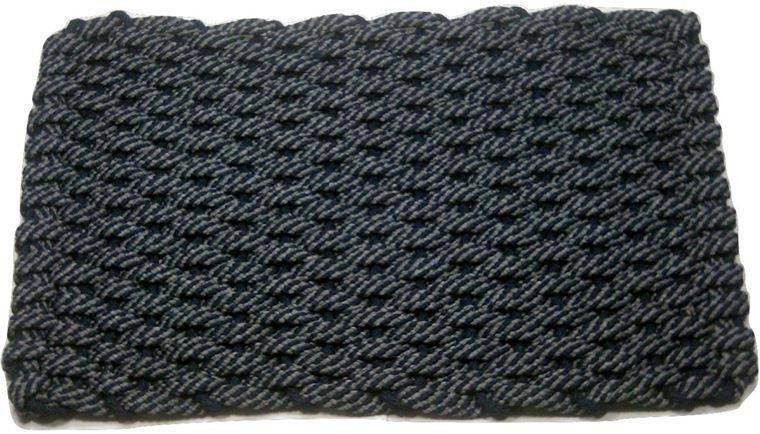 50/50 navy/gray Rockport rope mats can be used for door mats, kitchen comfort mats, RV mats, boat mats, pet mats or whatever or wherever you choose to use them for. Made with soft-textured, synthetic fibers, our rope doormats will wipe your feet super clean and make them very happy! The versatile look and design of a hand-woven rope mat makes it perfect for virtually any use! SKU: n/a. Category: Miscellaneous weaves. Tag: Rockport Rope Boat Mat 50/50 Navy/Gray With Gray Insert. 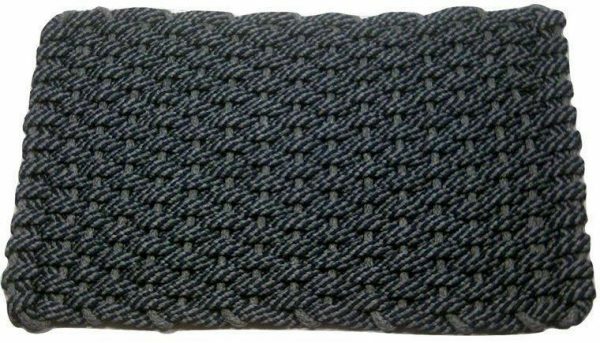 Rockport rope mat 50 50 navy gray insert gray is ideal for pets, boats, RV’s, camping, gardening, entry ways, porches, door steps, patio’s, bathrooms, by the pool, on the steps, on the deck, or on the floor by your sink in the kitchen, bathroom or bar. They are unique. There is no other rope mat that is as soft and easy on your feet yet durable and machine washable. Rockport Rope Door Mats is proud to provide you with the highest-quality rope door mats made, while still offering manufacturer direct pricing! 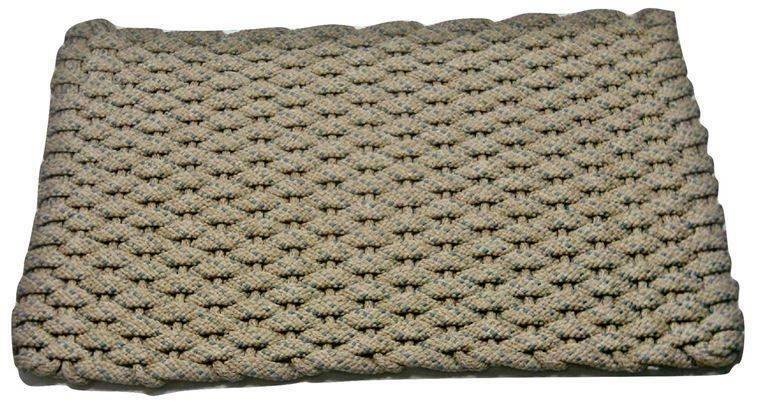 Rockport rope mat 50 50 navy gray gray insert can also be used as doormats, comfort mats or braided rugs. These rope mats are elegant but durable and provide classic elegance with low-maintenance.